Up for grabs today is a bottle of the new Berry Punch drink for 2 winners thank to Shloer. Bright blue skies and crisp winter air brings hues of reds and oranges to our cheeks; winter is all about sharing those warm moments with our friends and family. Now you can make your Sunday get-together even better by sharing it with Shloer’s brand new Berry Punch. The limited edition gives a nod to traditional English flavours; it’s packed with Blackberries and a warming hint of spice - making it the newest and tastiest winter drink. Whether it’s enjoyed after returning from a beautiful woodland walk or sitting around the fireplace on a crisp winter evening, Shloer’s Berry Punch is best served over ice and quintessentially English fruits. For the taste of the English countryside, pour over slices of pear and blackberries for a sparkling and fruity autumnal drink, perfect for sharing. Shloer uses only the best ingredients to create a delicious non-alcoholic sparkling juice drink. All varieties make a tasty-grape based alternative to alcohol, suitable for the family – including those who want to enjoy the winter months without drinking alcohol. Shloer contains no preservatives, artificial colours, sweeteners or flavourings and is available from all supermarkets. 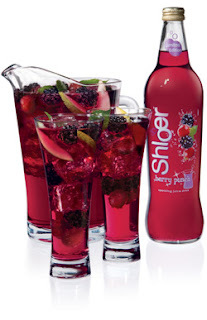 Shloer’s new Berry Punch will add a little sparkle to any social gathering, planned or impromptu. Whether it’s huddled around a bonfire, or enjoyed with a long lazy Sunday lunch, Shloer is here to provide a new taste of winter. The recipes you’ll find here are created by devoted Shloer fans themselves, around a ‘simple and sharing’ principle – no one wants to slave over a hot stove for hours on a well-deserved weekend. It’s easy to contribute your own tasty dishes, or vote for your favourites on our Shloer Sunday Cookbook, either way you have the chance to win some fabulous prizes. Whats not to like about Shloer! I remember having this on Christmas Day when I was little, we used to think it was the "real" stuff. Can you tell we was very cosmopolitan, lol. But have to admit to keeping a bottle in the fridge in summer to make a nice refreshing drink on one of the rare long hot summers days. Just take one or two bottles of Shloer( depends how many people you have around!) pour in to a big pitcher jug add some fruit of your choice, we use slices lemons, oranges & strawberries (or what ever we have in or growing in the garden) put loads of ice cubes in and leave it to chill for about 10 minutes, then just pour! Tall glasses are best, its great after a days play in the garden. I'm not a big alcohol drinker, the occasional glass of wine or a Bailey's, but this I love the new Berry Punch is lovely too!!!! There are 7 varieties available to buy. 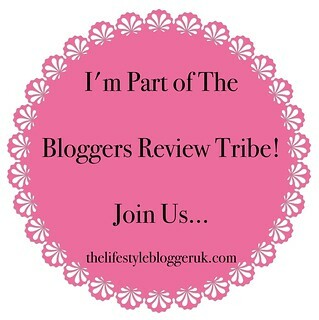 Please May I enter, I love Shloer it is a perfect drink when you are pregnant and everyone else is drinking wine!! This new flavour looks fantastic I will have to look out for it in the shops!